If you live near Boonville and Columbia and your Hummer needs servicing, you’re in luck! Midwest Autoworx has a team of highly trained auto mechanics who have earned much praise for being the best choice for auto repair in the region. Our team has the specialization and training to handle challenging Hummer repairs that other auto repair centers won’t or can't-do because they just can’t rival our level of expertise. The owner of Midwest Autoworx, James Copeland, is on the ASA Midwest Board and has held every position over the last 15 years! He’s a big player in the in the auto industry and enjoys watching other auto repair shops grow. James Copeland and his team of auto mechanics take every precaution to make sure that your automobile is in pristine condition before we send you on your way. Our auto mechanics have access to the most updated technology, equipment, and diagnostics which allows us to repair your Hummer as fast and efficiently as possible. Our team has the knowledge to tackle almost any issue with your Hummer. Above all, our mission is to keep deadlines and promises, which is one of the reasons why we happily offer a 3-year/36,000-mile warranty on parts and labor. For Hummer services, call Midwest Autoworx or schedule an appointment online. We’re located at 2001 Rangeline Street in Columbia, MO 65202 and 1300 W. Ashley Road in Boonville, MO 65233. 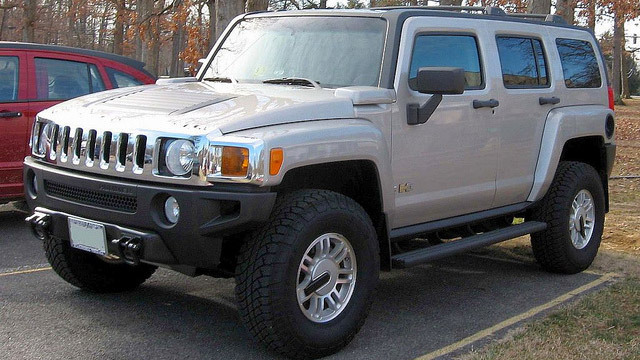 Our professional and qualified auto mechanics will provide you with the most quality Hummer repair in the region. We look forward to your visit!